The attorneys at the law firm of R. Patrick McPherson, AAL, ALC, in Honolulu, Hawaii, have more than eight decades of combined legal experience and are ready to help you protect your driving privileges. 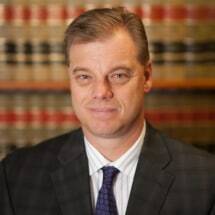 We are led by our founding attorney, R. Patrick McPherson, who has handled over 1,000 DUI trials and is in court nearly every single day fighting for our clients. Our practice is focused on defending the rights of those who have been charged with DUI or criminal traffic offenses such as reckless driving. We also handle other traffic matters, including speeding and distracted driving violations. We know that being charged with one of these offenses has put you in a difficult position. You could lose your job or security clearance or have difficulty finding work in your chosen profession. You can count on us to go the extra mile to fight the consequences that you may be facing in your case. As experienced trial lawyers, we know how to challenge the evidence that will be used against you. We will make sure that law enforcement officers acted properly in your case, and if they made any mistakes, we will explore all of the options available to us to have that evidence excluded from your case. At R. Patrick McPherson, AAL, ALC, we will do everything we can to protect your rights and driving privileges. If you would like to know more about what we can do to help you, we invite you to contact us to arrange a free consultation.